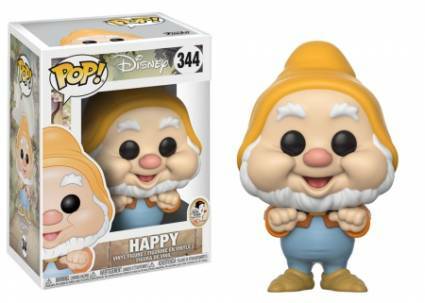 Heigh Ho! 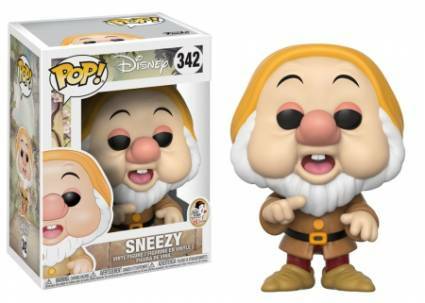 Heigh Ho! 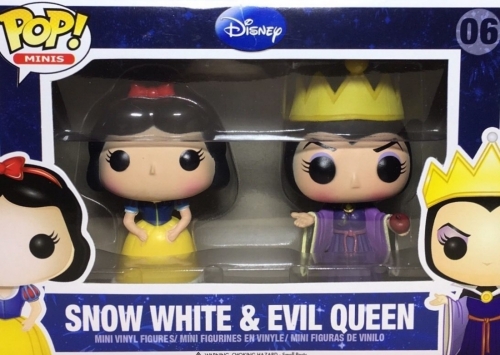 The Funko Pop Snow White set highlights the good and the wicked from the classic fairytale. Walt Disney’s first full-length movie, Snow White and the Seven Dwarfs is based on the Brothers Grimm tale, however, with the addition of Disney magic and far less violence. 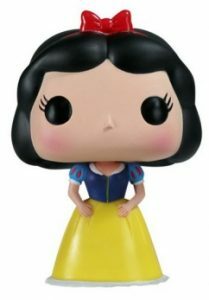 While Snow White is the original Disney Princess, she is among the least represented in the Pop! Disney line. 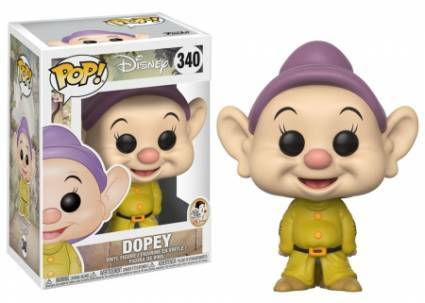 The main figure for the fairest of them all resembles the memorable big-screen character dressed in the iconic yellow and blue dress with dark hair and ivory skin. Easily noted by her crown, the Evil Queen is posed in her purple robe, arms stretched out in front offering a shiny red apple. 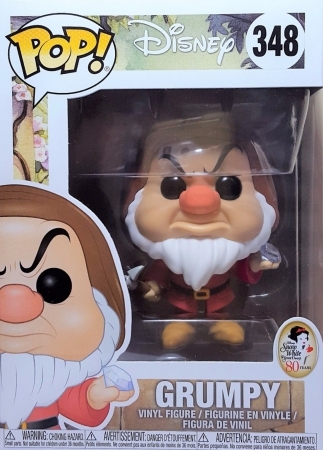 Representing the dwarfs, the Grumpy figure is still adorable despite his best effort. 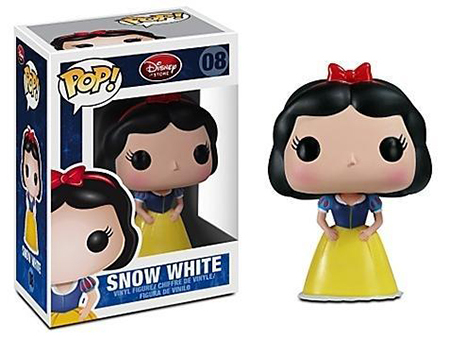 Shop for Funko Snow White Figures on Amazon. 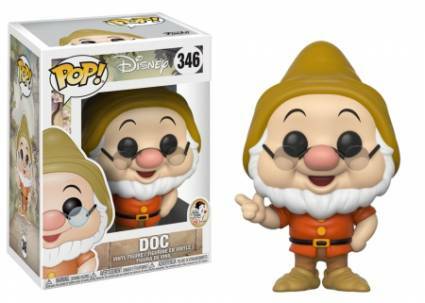 Funko also commemorates the 80th anniversary of Snow White and the Seven Dwarfs with updated appearances for the original trio. 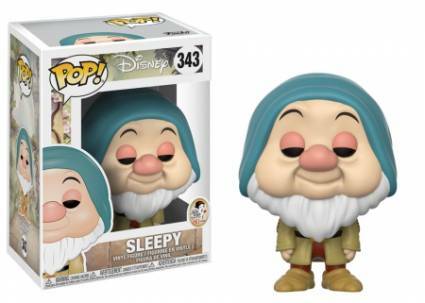 In addition, the rest of the charming dwarfs receive their first stylized makeover. 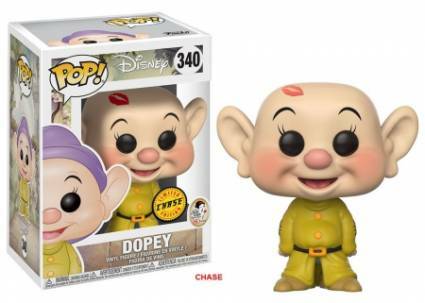 Furthering the Funko Pop Snow White collection is the limited chase variant for Dopey with a kiss on his bald head (1:6 boxes). 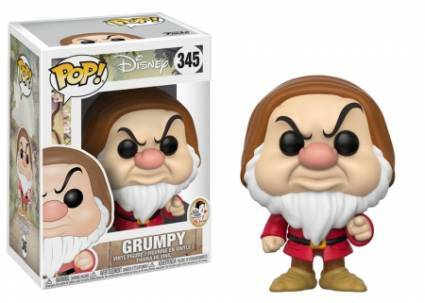 Retail exclusives include Grumpy with a diamond and pickaxe (BAM! 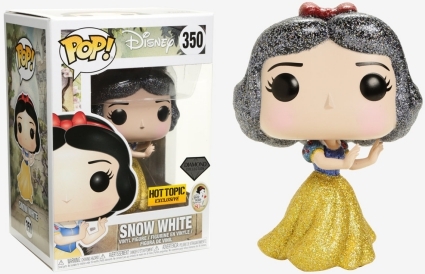 ), Snow White covered in glitter (Hot Topic), and Snow White dressed as a maid (Toys R Us). 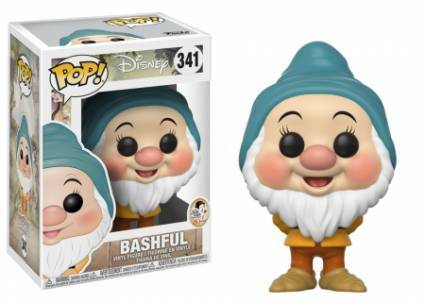 Beyond the normal Pop! 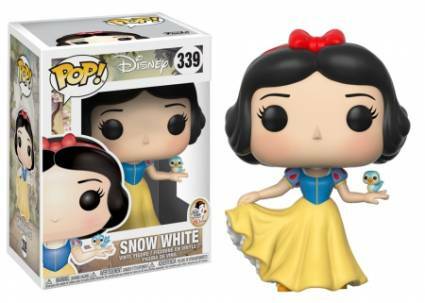 figures, Snow White is featured in a Pop! 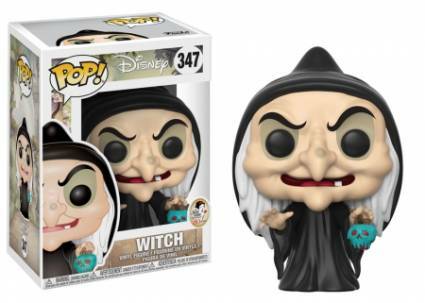 Minis combo pack with Grumpy and another two-pack with the Evil Queen. 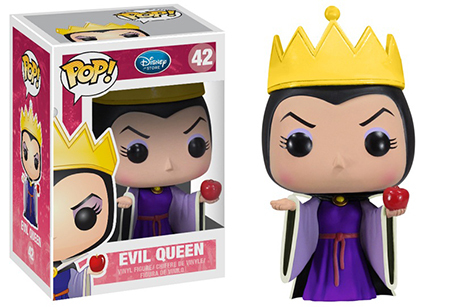 Merging their diabolical powers, collectors can find a set with Maleficent and the Evil Queen. 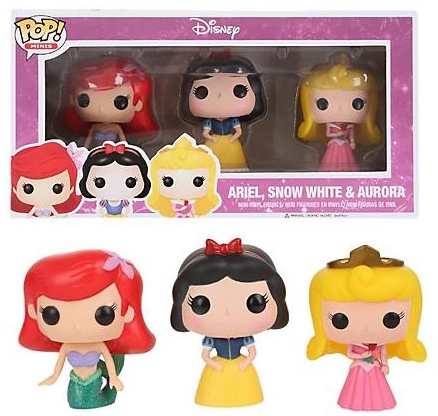 In contrast, the kind-hearted Ariel, Snow White and Aurora are paired in a Pop! Minis multi-pack. 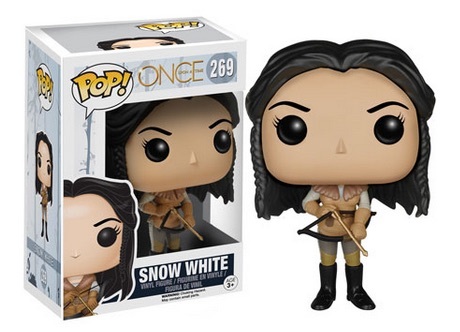 With numerous fairytale characters, including Snow White, appearing on the ABC hit series Once Upon a Time, the more modern Snow White figure is also covered in the guide. 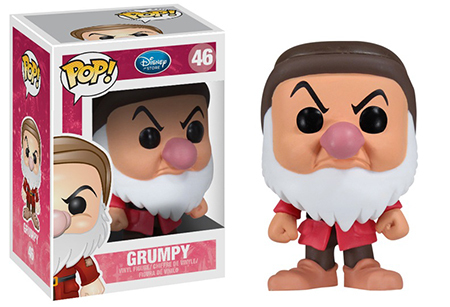 348 Grumpy w/ Diamond - BAM! Please note the exclusive images are not final and subject to change. 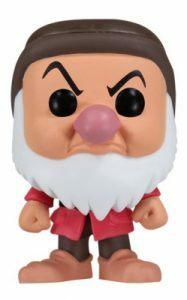 348 Grumpy with Diamond - Books-A-Million! 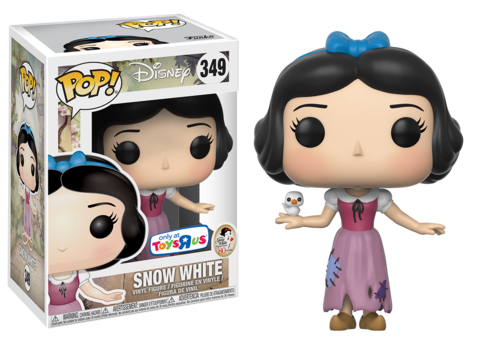 For additional info on Snow White collectibles, see our related Funko guides.